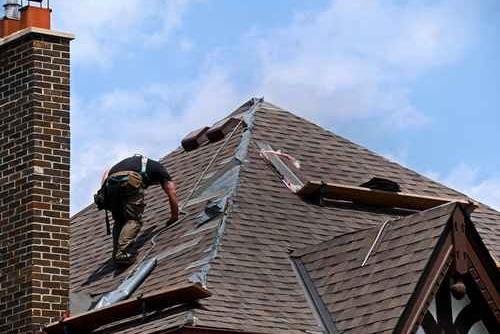 Here at H&J Roofing and Exteriors, we understand getting a new roof can be a costly expense. It is our goal to inform both homeowners and businesses the value of replacing their roofs before there is a leak. Proper maintenance and upkeep can save homeowners and companies thousands of dollars in the long run. Once a leak has occurred in the home that means plywood, attic insulation, vapour barrier and drywall all need to be replaced. You can see how replacing all of these items along with a new roof can become very expensive. That is why here at H&J Roofing and Exteriors our experts are more than happy to inspect your roof before there is a problem. No matter the season H&J Roofing and Exteriors is here to serve your residential roofing needs. If you’re looking to replace or repair the roof on your home, they’re maybe a few benefits you have yet to consider. A new roof can help sell your home, as it is one of the first components in a home inspection. A new roof can enhance the curb appeal of your home, which may increase its market value. By maintaining the integrity of your roof, you can save thousands of dollars from future leaks. Now that you are aware of a few benefits of replacing your roof lets look into some of the different types of residential roofing. Any roof with a slope greater than 20% is considered a sloped roof. This is the category most residential homes will fall under. Sloped roofing consists of your standard asphalt shingles, metal roofing and rubber tile systems. All three of these products are designed for sloped roofing. So how do sloped roofing systems work? The design of these three roofing systems plays upon the laws of physics. 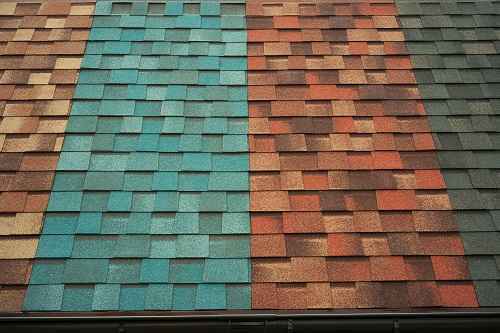 Each shingle, metal sheet or rubber tile overlap one another by 6-10 inches. This overlap is essential because in unison with a slope greater than 10% the water running down the roof is unable to get behind the shingle given this overlap. The simplicity of this type of roofing system is what makes it incredibly popular and affordable to install. Flat roofing is another type of residential roofing. A slope less than 20% identifies the need for this type of roof system. This means that the slope of the roof is relatively flat. Here we have two options, single-ply and multi-ply. Single-Ply: A single ply system is pretty straightforward, there is only one layer of roofing material that maintains the integrity of the roof. Single ply membranes consist of EPDM and TPO. These rubber and vinyl systems only require one layer. A benefit for this type of system is it is a cheaper alternative to other flat roofing products. A drawback is they are not intended to last as long so may need to be replaced more often. Multi-Ply: Modified bitumen and BUR consists of two or more layers in a flat roof system. This provides more layered protection from the outside elements but can be more expensive. Although the initial cost is higher, they’re rated to last much longer, due to their durability. Interested In a Residential Roof Replacement or Upgrade? Please feel free to contact us and let us know how we can serve your residential roofing needs. Our roofing professionals are more than happy to answer all your question and concerns.